Mac Nelson has been the top producing broker in Carteret County over the last 7 years and is the Top Agent at Advantage Coastal Properties. 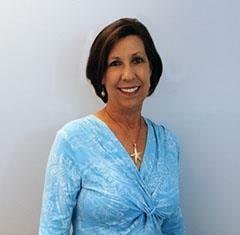 Mac and her husband, Ed, own Advantage Coastal Properties, running the business as partners. They have a passion for this Business and it shows through their dedication to giving you the service you deserve. Both Mac and Ed have MBA's and a strong professional backgrounds that improve their partnership in Real Estate, a business venture they entered into together in 2006. Strong negotiators with financial and customer service backgrounds, they keep tabs on the market direction to give you the best information possible about pricing. At Advantage, there is never a charge to Buyers, and never do they stop working until the Buyers has seen everything the market has to offer. Only you, as the client, will know 'it' when you see it, and Mac's goals are to help YOU find it! As members of the Carteret County Board of Realtors, as well as the Jacksonville Board of Realtors, Mac can show you property in all areas of the Crystal Coast, so get started finding your dream home today! Having owned property at the Crystal Coast for the past 20 years, Mac has seen a lot of change and is excited to see her area grow! From award winning schools, to pristine beaches, the Crystal Coast has it all. Come join them in this piece of heaven. At Advantage Coastal Properties, Clients are their Number 1 focus with an emphasis on relationships rather than transactions. A monthly E Newsletter delves into the health of the local market with an analysis and attempt to explain what the numbers are saying. An informed client is one that will make the best decision and Advantage works hard to keep their clients well informed. For Sellers, Advantage offers the most competitive and comprehensive listing package available, with total commission rates of 3.9 Percent - and this is not for discounted service, this is Full service that includes fantastic pictures, placement on all the major web sites and other special features that help your listing sell! Call to find out more or to get a Free, No Obligation Market Analysis for your property. Whether buying or selling, make the Mac Advantage YOUR Advantage!